A stylish mix of contemporary style and classic elegance, this chic glass mantle clock features a fresh white Roman numeral dial. Sure to take pride of place on any mantelpiece. 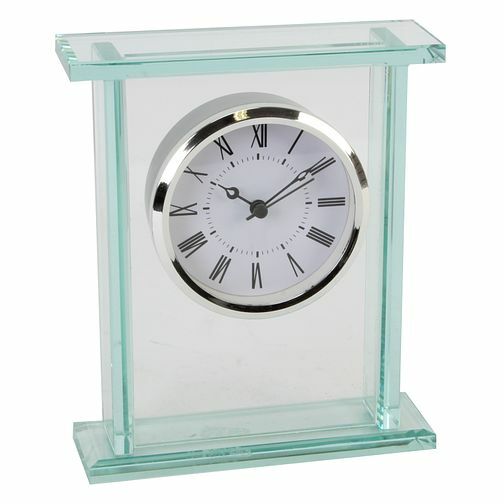 Glass Mantel Clock is rated 5.0 out of 5 by 1.